Over 25 years in the renovation business,including insurance restoration,new home construction,drywall repair ,light carpentry and high end paint finishes. 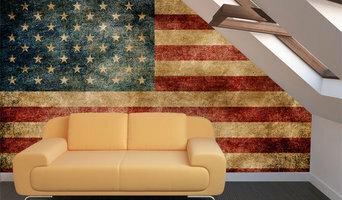 Majestic Wall Art (majesticwallart.com), Canada provides collection of wall murals, wallpaper murals, photo murals, stick on decals, wall art and customized wall stickers to give a unique identity to your home or office. When it comes to Residential Painting, Exterior Painting and Pressure Washing, no one compares to Valleywide Painting Services. With years of combined experience, Valleywide Painting Services has worked hard to build the trust of our clients in Penticton, Summerland and Oliver and beyond. Visit our website to learn more. Or better yet, click the link and call us today! We are Kelowna's premier destination for great service and quality Benjamin Moore products, as well as new trends in wall coverings and blinds. We are distribute and sell nano technology paint and coating products. NanoCote and Therma-NanoCote. Anti-microbial, fire retardant, energy efficient, thermal barrier, anti-corrosive more. Trusted for providing best printing services, Kelowna Insta Print produces offset and wide format printing solutions at the lowest possible price. Our mission is to provide the premium quality graphic design and printing services to build the business of your dreams. Using latest technology and offset printers, we can produce high resolution, wide format prints with great ease regardless of the type of size of your project. Pay less for superior quality! Free estimates, always arrive at the agreed upon time, works quickly and efficiently. Paint interior and exteriors of houses. The estimate is always based on the work to be performed with the cost of the paint to be paid by the customer. All supplies other than paint are supplied by the contractor. Paint and wall covering contractors are experts in the specs, application and removal of paint, wallpaper and other wall coverings. They can help you choose the paint color and finish, wallpaper style or specialty covering that best suits the needs of your Summerland, BC home, whether the job is for the interior or exterior. In addition, they can strip off old paint or paper and prepare surfaces through sanding, skim coating and other processes. Many can handle decorative paint treatments and materials such as plaster. A paint and wall covering contractor might work closely with Summerland, BC interior designers, builders and others, too. Here are some related professionals and vendors to complement the work of paint & wall covering dealers: Interior Designers & Decorators, Artists & Artisans, Window Treatments, Carpet Dealers. Find a paint and wall covering contractor on Houzz. 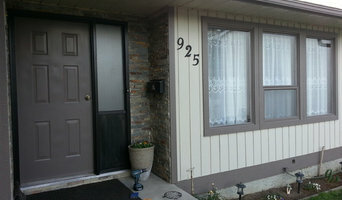 Narrow your search in the Professionals section of the website to Summerland, BC paint and wall coverings. You can also look through Summerland, BC photos to find examples of paint jobs and wall coverings that you like, then contact the professional who worked on them.